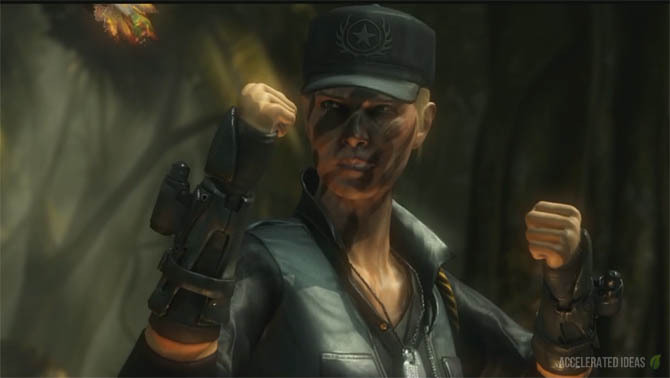 Sonya Blade is a returning character in Mortal Kombat X. Originally making her debut in the first MK game, Sony Blade is a female soldier, ex-wife to Johhny Cage and mother to Cassie Cage. Her three variations are Covert Ops, Demolition and Special Forces. Currently a lieutenant in the Special Forces, Sonya is rock hard but also beautiful as well. Her skills lie in her agility and high level training through special forces. 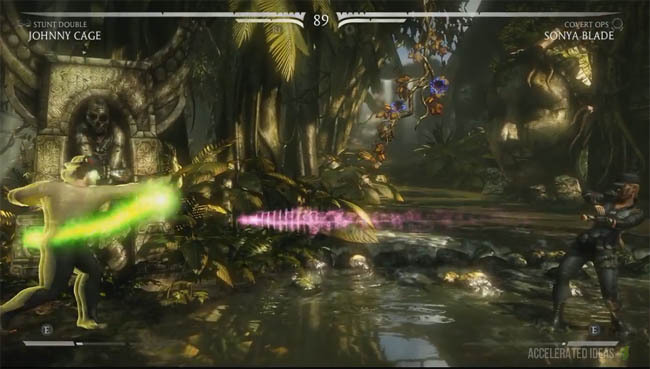 In MKX she maintains her classic special moves such as the hand stand leg grab and energy wave projectile - both of which are common to all variations. Sonya's diversity comes in the form of variations where shes gains parrying and counter moves in Cover Ops, grenade attacks in Demolition and a really cool drone in the Special Forces variation. A fast moving projectile which appears as pink circular rings bound in a tight arrow shape. The enhanced (EX) version is slightly larger than the normal one. A flying drop kick from mid-air which is useful for opening up space for combos. An arcing kick where Sonya swoops up and down again, covering roughly half the screen. Similar in many ways to Cassie's swooping kick. Its great for gaining ground but also for jumping over projectiles. The enhanced version contains several additional kicks at the end of the move. The classic hand-stand leg grab where Sonya grabs the opponent's waist and tosses them behind her. 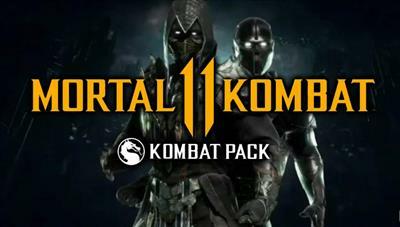 This is exactly the same as the move from the original MK game. A close range variation which plays heavily on trapping the opponent and counter attacking with combos. A close range parry move where Sonya catches the opponents attack, trapping their arms and legs in wire. The player can then counter attack with a sizeable combo. Sonya catches the opponent between her legs in midair, then smashes them to the ground before finally jumping knee first onto their head. Upon entering the military stance the player can perform several moves right off the bat - including a cartwheel popup, low poke and additional throw. An interesting variation that grants Sonya three usable grenades which can be replenished by calling in a drone. These grenades appear as green coloured tubes that are strapped to her thigh. Grenades come in two forms; frag and stun. These bombs can also be timed to explode early by double tapping the final button and also enhanced to throw all remaining grenades at once. She tosses a frag grenade which bounces before exploding, causing the opponent to leap up into the air. Again, Sonya tosses a grenade that bounces but this time the grenade shocks and stuns the opponent momentarily - kind of like a tazer. This move opens the door for a combo starter. Call in the drone to replenish the grenade supply. During this move the player is momentarily vulnerable. The enhanced (EX) version provides some cover because the drone launches three grenades of its own to cover your back while you reload. Following an attack that sent you to ground, Sonya rolls back quickly and detonates grenades. This move is perfect for repelling an opponent who's coming in close all the time. You require at least two grenades to pull this move off. In this variation, Sonya has green glowing armbands which she uses to call in a drone for assisted moves. The drone only lasts for a few seconds and remains dormant in the background until instructed by the player. As you can guess this class is great for mixups and keeping your opponent guessing. A short range attack which causes the drone to fire a blue plasma blast at the opponent, sending them to ground upon impact. Great for anti-air or rushdown defence. Similar to the attack above except that the missile tracks the opponents movement for a short period of time. Because the missile is slow the player can provoke the opponent by following the missile for mixups or combos. The drone zooms downwards into the ground (low attack), hitting the opponent if they're in the way. This causes the drone to disappear. The drone flies horizontally, hitting head height should the opponent get in the way. The drone also disappears following this attack. Starting from the parry move, Sonya wraps wire round the players neck and then vaults over their head. The pulling force of the wire breaks their lower spine which she then follows up with a reverse headbutt from behind and a toss which smashes the players face into the floor.